The colour changing LED RGB Strip Lights use the colors Red, Green, and Blue (RGB) to create over 16 million vivid color hues. All of our LED RGB Strip Lights can be controlled with a basic RGB Controller using pre-programmed modes or can also be controlled using by DMX control giving you full control over your RGB Color Changing LED Strip Lights. Browse through our selection of LED RGB Strip Lights or feel free to give us a call if you are having trouble finding the right LED RGB STRIP lights for your project. 1. There are designated solder pads (marked"+/-") for solder connection. Note that the maximum soldering time is 10 seconds and the highest soldering temperature is 260 degrees. 2. The smallest unit of our SMD5050 LED flexible strip is composed of 3 LEDs. Each unit can be removed by cutting between the designated solder pads. 3. A simpler installation is guaranteed by applying double-sided adhesive tape on the back-surface of the strip. (1) Make sure the back-surface of SMD5050 LED flexible strip is clean and dry, thus to guarantee better adhesive effect. (2) Suitable pressure is needed after flexible strip is positioned. But note that the LED flexible strip itself and all its components may not be mechnically stressed. (3) The minimum bending radius of our SMD LED flexible strip is 2cm. Smaller bending radium is also possible only if the circuit board containing no electronic components. It would be better to position the LED flexibel strip after bending to avoid cyclic fatigue. (4) Make sure the adhesive backing is removed completely. 1. 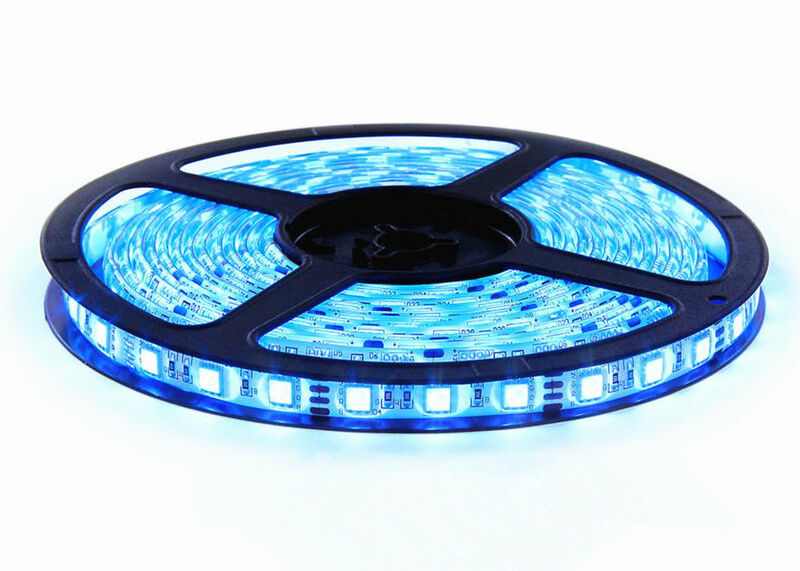 SMD LED flexible strip itself and all its components may not be mechanically stressed. 2. Don't damage or destory conducting paths on the circuit board while installation. 3. 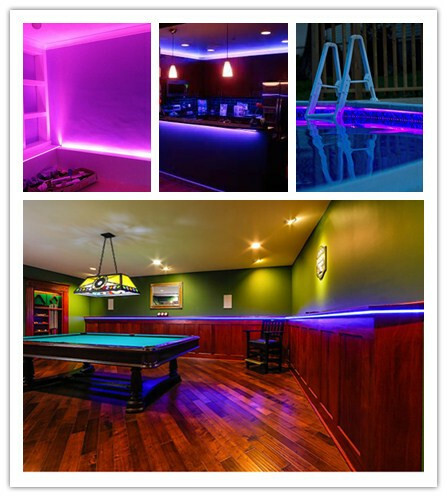 To guarantee safety, only qualified personnel are allowed to install LED strips. 4. Make sure SMD flexible strips are mounted to correct electrical polarity. 5. Parallel connection is highly recommended for its high safety. Serial connection is not recommended because unbalanced voltage drop may damage SMD LED flexible strips. 6. Insufficient and unstable power supply may cause flexible strip damage. 7. Don't install SMD LED flexible strips directly on metallic or any other conductive surfaces. 8. Pay attention to standard ESD precautions when installing our LED strip lihgts. (1) Material corrosion will not be considered as material defect. It's in user's responsibility to provide suitable protection against material corrosion, including protection measures against moisture and condensation, etc. (2) Connectors are necessary if you want to connect the cut sections together or connect a section to power.